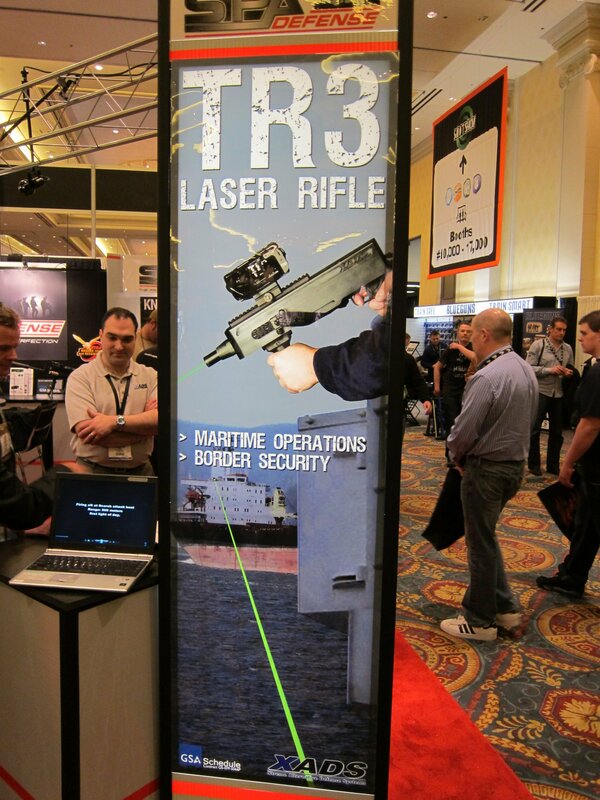 SPA Defense/XADS TR3 Laser Rifle for Ship Defense/Anti-Piracy Operations: Hit ’em with the Big Green Laser Beam! | DefenseReview.com (DR): An online tactical technology and military defense technology magazine with particular focus on the latest and greatest tactical firearms news (tactical gun news), tactical gear news and tactical shooting news. Alright, this one was, hands-down, one of the coolest things DefenseReview (DR) saw at SHOT (SHOT Show 2011). It’s called the TR3 Laser Rifle, and it’s brought to you by the good folks at Xtreme Alternative Defense Systems (XADS) and SPA Defense. 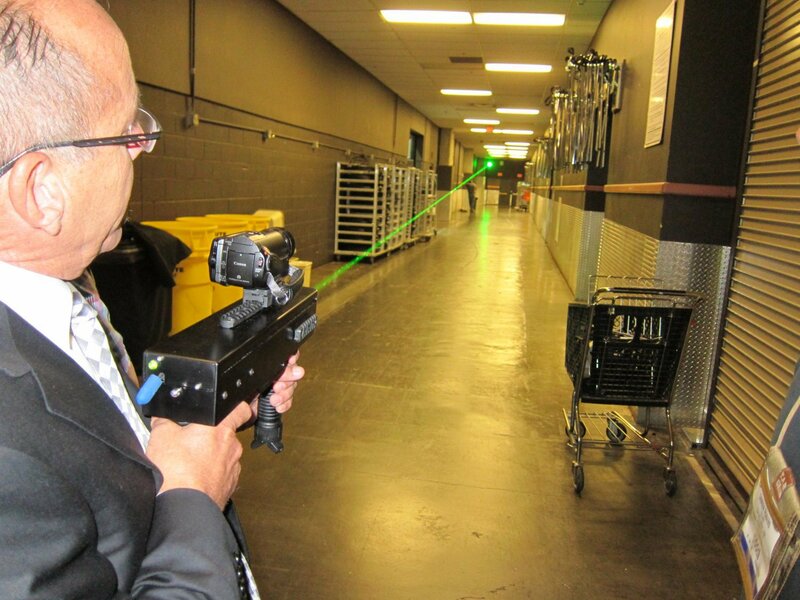 If you’ve got a piracy/ship defense problem, this may just be the laser weapon for you. 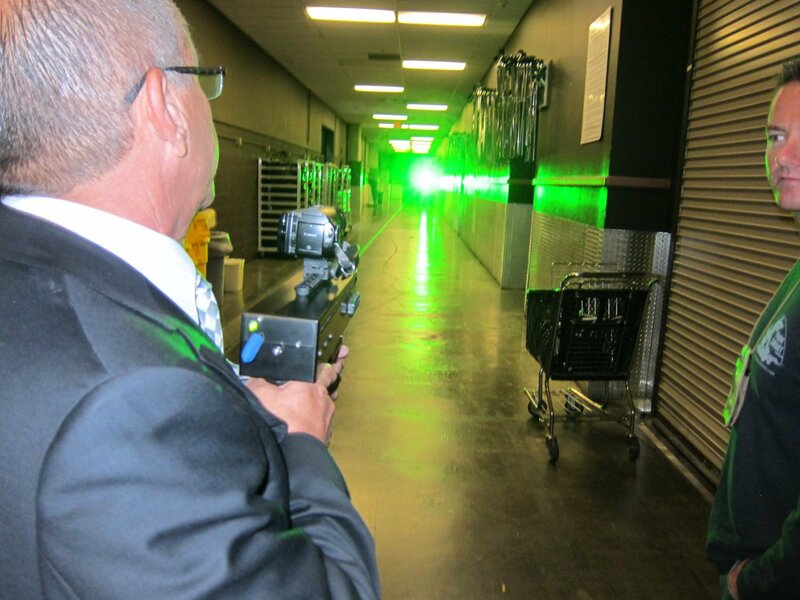 The XADS TR3 Laser Rifle emits a very powerful green laser that can “dazzle” your enemy out to a range of 1km (.62 miles) during the day, and 2.4km (1.55 miles) at night. The TR3’s power level is listed at 2.5 (minimum) – 3.0 (maximum) Watts, continuous, and uses a rechargeable lithium ion polymer battery. Battery life is 30+ minutes of constant fire. Chris Kinney of SPA Defense handled the demo for us in a service hallway at the show. As you can see, Defense Review shot some pretty good pics of the TR3 in action. We actually got to T&E the TR3 ourselves, and came away very impressed with it. 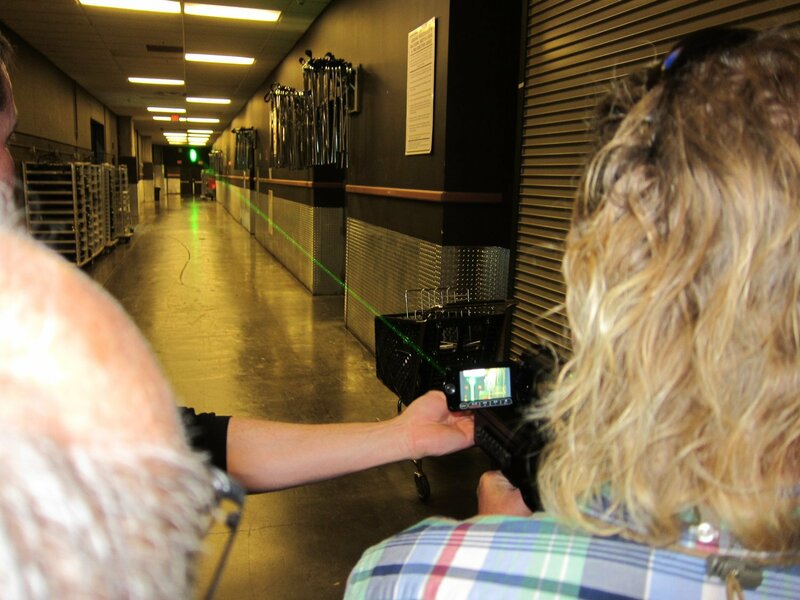 You can adjust the intense green laser beam’s focus using a dial that surrounds the weapon’s emitter (“barrel”/”muzzle”). You can disperse the beam so that it’s eye-safe for hitting bad guys in the face, or dial the beam into a retina-frying focus. Unfortunately, we didn’t shoot video of the TR3 operating, during the demo. We went back to the SPA Defense booth on that last day to do just that, but were unsuccessful. DR will therefore try to get some good video footage of the TR3 in action from Mr. Kinney. In the meantime, if you want to have a little ship-defense fun with a laser gun, the XADS TR3 Laser Rifle looks like a pretty good one.